I don’t have a skincare routine that is set in stone per se, but I do have a lot of products that I use regularly. I recently picked up the Origins pure cream cleanser, and I am in love with it. Really nice and moisturising, it makes my skin feel clean but not at all stripped. Highly recommended. I use that in the morning or as my second cleanse in the evening. My skin has been 100% looking better since using this, it feels really soft and supple. When I take my makeup off in the evening I always use the L’oreal absolute eye makeup remover – it gets rid of everything really easily. The Emma Hardie cleansing balm is my go-to for melting off all my makeup. Halfway through my second tub, still love it. 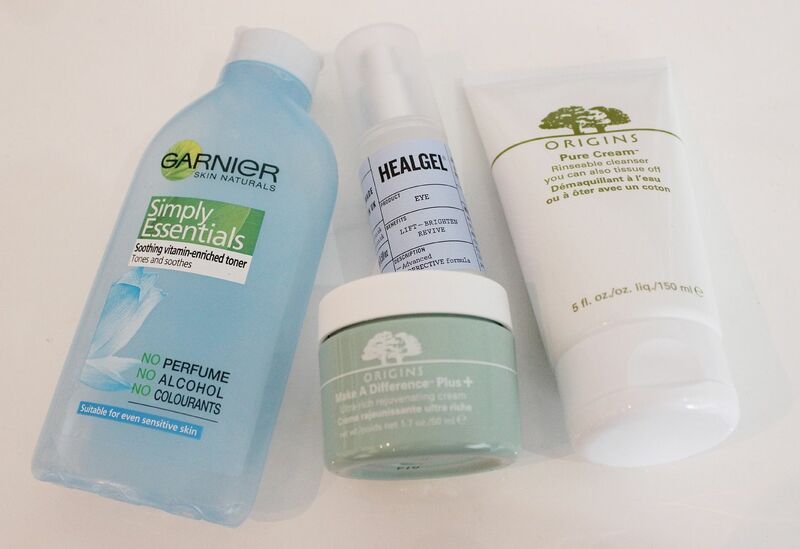 My toner is a cheapie but a goodie – the Garnier simply essentials toner. Amazing stuff. At night I use hydraluron and then either the Origins night a mins or the Origins drink it up mask. Both are really rich and I wake up with plump looking skin. I am so almost finished with the night a mins, sad times! 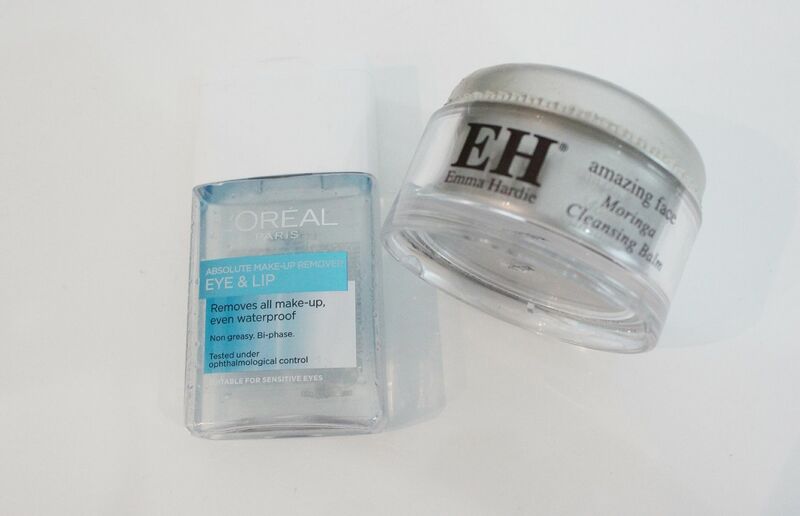 Day and night I’ve been using the Healgel eye, which is so nice and moisturises without feeling too heavy. This is going to be especially good when my hayfever kicks in more. Cooling and refreshing! 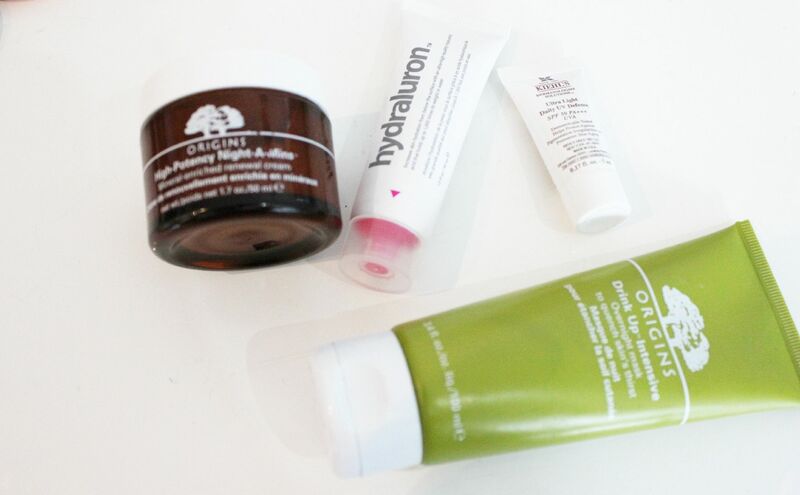 For my morning moisturiser I use hydraluron, and then the Origins Make a difference + rich cream, which is so good. Incredibly nourishing. & then I was given a sample of the Kiehl’s sunscreen, I am really impressed. Phew… that’s a lot of skincare. I just love me some skincare. I’ve got my eye on trying some Pai bits, and maybe some Oskia. Any recs?